Today FARA participated in the borough-wide Spring Clean, and appropriately we had a beautiful spring day and warm sunshine. The Council supplied us with litter pickers/sacks/gloves and high-visibility vests, and also a council official to take part alongside us (and get her ear bent about some of our local litter and recycling issues!). Some of us went round the streets in the FARA area, de-littering the roadsides and noting various flytips and dirty front gardens to report to the Council. 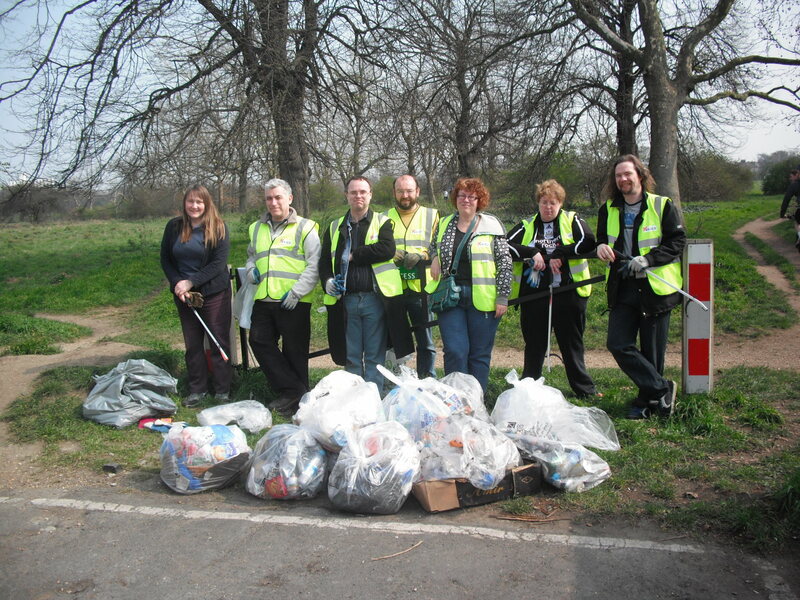 Others performed a thorough clean-up of ‘our’ section of Wanstead Flats. Altogether we gathered about a dozen sackloads of assorted rubbish which the Council later sent a truck to collect. Thanks to all the volunteers who took part! « Missing cat – have you seen it?